You can see me here with my Harvard classmates. I'm on the front row, second from the left, wearing my favorite and very cool shirt. I think the socks, cuffs, and knee-patches demonstrate my bold sense of style, too! In the evenings for a week, my Mom brought me and my older brother to Harvard to hear about Jesus. One of the talks by the main speaker connected to my soul: I knew I was a sinner, that Jesus died for my sins, and that my only hope of salvation was to accept Him as my Lord and Savior. I was too afraid to go forward, but that night at home alone, I prayed to receive Jesus. I did not tell anyone what I had done but it was the real thing and I have never doubted my decision. Almost 60 years later, I am still stunned by the miracle of a young child’s heart embracing the sublime, stepping into eternity. How did this happen? There is no explanation other than God’s Spirit who is not hindered by the limitations of what a child can comprehend. Indeed, God prefers the hearts of children - they come with less of the baggage that gets in the way of the gospel in later years. Look at our T20 chart and you can see where this decision fits in the bigger picture. I have marked it in red and drawn a line that intersects the “gospel” content block. This is where it fits, logically. Before some of you get stressed about the fact that your child is older and has not yet come to Christ, please remember what we said in a previous post: Do not allow the chart to fall into the employ of the merit plan. Yes, allow it to show you how to be faithful as a parent. But be faithful in the knowledge that God’s grace is what will ultimately make the difference in your children. The chart shows the logical arrangement of our priorities for home-based discipleship. But the chronological order may play out differently. Be faithful to your responsibilities as a parent even as you trust in God’s grace more than your efforts. God’s Spirit will choose the moment where the crimson line is crossed. It is a parent’s job to sow truth that the Spirit will, in turn, use at the perfect time. This truth is represented by the fourth block, colored green because it targets the mind. Someone might look at the “gospel” content block with some puzzlement. The heart of the Gospel is drawn from 1 Corinthians 15:3-4, namely, Christ died for our sins, He was buried, and He was raised on the third day according to the Scriptures. So why does the associated training span an extended period of time? How long does it take to teach a child about the death, burial, and resurrection of Jesus? It is true that the core of the Gospel is as simple as three statements. But understanding the significance of these statements will take some time. Here is where children benefit from understanding who God is, how He created everything, including Adam and Eve, and how Adam and Eve sinned against God in the Garden. Children need to understand what sin is and how the Fall adversely affected everyone’s hearts. They need to learn from the Law about sacrifice for sins. Then they need to learn about Jesus’ life and how He made the “once-for-all sacrifice” of Himself for our sin on the cross. The last piece of explaining the gospel to your children will focus on what we called “opening your present.” Here’s the executive summary – feel free to embellish it to best connect with your children: When someone gives you a present, it doesn’t do anything for you until you unwrap it. A present unwrapped and neglected in the corner may be something that is just what you need or desire. It may have your name on it and belong to you. But you have to unwrap it to enjoy all the benefits it provides. A prayer in which you admit you are a sinner, recognize Jesus as the One who died for your sins, and ask Him to be your Savior and Lord is how you unwrap the present of salvation. Parents wonder when their son or daughter “is ready” to unwrap his or her present. We used the will-not-be-denied principle. We explained the truth about the Gospel, including its significance. We explained what it means to unwrap the present of salvation. We hinted, “Someday, when you are ready, you will want to do this.” And then we waited until they would not be denied. Only then did we assist them to pray and unwrap their gift. After a child has come to Christ, training in the Gospel will teach a child about the unique privileges of being a follower of Jesus, including what it means to be baptized, to take communion, to hear God’s voice in the Bible, and to pray. Additional instruction will center on the many ways that something new has begun on the inside, a process that will produce growth and fruit. This content block is a key pivot point in the training of children. As parents are faithful to teach the truth of the Gospel, they will witness the miracle of a young child’s heart embracing the sublime, stepping into eternity. There is nothing like it! Before I give you your chart, I need you to read a few posts that will prepare you. You don’t just throw down an amazing life-changing chart like this without preparing people - they might explode! So, first, we need to crack the code of Proverbs 22:6. (See below.) Then (in the next post), we will see how Proverbs 22:6 relates to an amazing teenager. Only after you read these two articles will you be prepared to begin the great unveiling of “An Amazing and Colorful Chart That Affects Everything Parents Do!” I am so excited, I just might pop. Let’s pray this doesn’t happen before you get your chart. Some folks like to quote Proverbs 22:6. They take comfort from what they perceive as an ironclad promise that wayward kids who were “brought up better than this” won’t stray for long. Is that really what this verse teaches? Let’s unpack a few key terms. “Train up” is an imperative, a command, that is most pertinent to parents. This verb and the related noun are somewhat rare and elsewhere used of physical structures that are “dedicated” in some way (Numbers 7:10; 1 Kings 8:63; Nehemiah 12:27; Daniel 3:2). Applied to child training, the verb denotes nurturing a child to a point where he becomes personally devoted to a certain course of life. Because of the use of this word elsewhere for the ceremonial dedication of physical structures (an altar, temple, wall, or statue), we could easily assume that the verb, “train up,” is pertinent to a ceremony like an infant dedication. Wouldn’t it be great if you could get dressed up, gather some friends, and use a ceremony to dedicate your children to the Lord. Then just sit back and watch them turn out right. No muss, no fuss, just perfect kids. Dream on! “Training up a child” involves far more than a one-time event. The word translated “child” is pertinent to an extended age band: It can be used of an infant (Exodus 2:6) but also describes a seventeen year old “young adult” (Genesis 37:2). This indicates that the target audience for the parental challenge of Proverbs 22:6 includes all those between infancy through the teen years. Parents have a responsibility to train up their children from the time they are born until they become adults. “Way” is not specifically identified as the way of wisdom and the word can be used of diametrically different approaches to life: “For the Lord knows the way of the righteous, But the way of the wicked will perish” (Psalm 1:6). But the notion of training a child in any way other than the way of wisdom is foreign to Proverbs. Indeed, the way of moral insolence is the default direction of every native heart (Proverbs 22:15). No training required. Walking in the way of wisdom, however, is a learned art requiring intensive training in how to oppose the natural bent of the heart away from God. This is THE way and Proverbs can use this simple shorthand expression, “the way,” to refer to the pursuit of wisdom. Here is an example. Notice how “the way” is the counterpart to wisdom in the two parallel lines of this verse: “Listen, my son, and be wise, And direct your heart in the way” (Proverbs 23:19). Wisdom equals the way. This is the “way” that every parent has every reason to internalize in his or her children. Let’s use the meanings for these terms to develop an expanded summary for this verse: If parents will pour their energies into raising children who are devoted to the path of wisdom, these children will enjoy great advantages toward remaining steadfast later in life. This verse (and others like Proverbs 13:24; 19:18; 22:15; 23:13–14; 29:17) affirm the existence of a window of opportunity. While this window is open, parents are able to set their kids up for life. Parents can school their children to own the pursuit of wisdom for themselves, to become dedicated to walking in the way of wisdom as a matter of personal conviction. On balance, this is a proverb and not a promise. That is, it describes a general principle. It is possible for a child to be trained to a point of devotion to the way of wisdom and yet to depart from that path later in life. But this is an exception and not the norm. The phrase “he will not depart from it” in Proverbs 22:6 is describing the customary or normative outcome, albeit not an ironclad future certainty. It is also possible for a child to form a dedication to the way of wisdom despite having received none of the parental advantages summarized in Proverbs 22:6. Such a child is a testament to God’s grace and my wife is one of them. Praise God for the fact that the shortcomings of parents did not diminish God’s ability to work in her heart. In God, there is hope for every child, even those whose parents have no intention or interest in teaching their children the ways of wisdom. These exceptions to the rule notwithstanding, the proverb is clear: If, as a parent, you will pour your energies into raising children who are “sold out” to God’s way, you give them maximum opportunity to stay on that path later in life. This is precisely the point Paul made to Timothy: “You, however, continue in the things you have learned and become convinced of, knowing from whom you have learned them, and that from childhood you have known the sacred writings which are able to give you the wisdom that leads to salvation through faith which is in Christ Jesus” (2 Timothy 3:14–15). Paul is explaining to Timothy that he has been given an advantage for steadfastness, the benefit of both a godly mother and grandmother who trained him to a point of understanding and embracing “the sacred writings” at an early age. Here is the bottom line application from Proverbs 22:6: Don’t squander your opportunity to give your children an advantage in their later years. Impart to them a personal devotion to God’s way before they become adults. I would not presume in a mere 715 words to usher in an era of peace and transquility where a centuries old controversy has raged. But I recently piped up in a theology discussion and some folks around me found these thoughts helpful. Maybe you will, too. First a little background: Reformed Theology (often associated with John Calvin) proposes that salvation ultimately begins with God and His choice of those whom He will save. Non-reformed views (some of which are associated with Jacobus Arminius) maintain that salvation begins with the free choice of men. Staunch advocates of either view will protest my absence of nuance in these summaries. Let me press pass their protests and dare to simplify things even more: As it pertains to who can be saved, a Calvin cheerleader says, “only those whom God has chosen.” An Arminius advocate says, “Whosoever will may come.” These views can be further distilled to simply “sovereign election” and “free will.” There are passages in the Bible which support both ideas. “For there is no distinction between Jew and Greek; for the same Lord is Lord of all, abounding in riches for all who call on Him; for 'Whoever will call on the name of the Lord will be saved'” (Romans 10:12–13). “For God so loved the world, that he gave his only begotten Son, that whosoever believeth in him should not perish, but have everlasting life” (John 3:16, KJV). “When the Gentiles heard this, they began rejoicing and glorifying the word of the Lord; and as many as had been appointed to eternal life believed” (Acts 13:48). “[God] has saved us and called us with a holy calling, not according to our works, but according to His own purpose and grace which was granted us in Christ Jesus from all eternity” (2 Timothy 1:9). The Bible affirms that “whosoever will may come” AND that God grants salvation to “only those whom I have chosen.” So here’s my proposed bit of theological detente. Since the Bible affirms both, we should too. I cannot resolve the tension in my mind between these two phrases. But this is my problem, NOT the Bible’s. Affirming both truths protects us from blame-casting and pride. If salvation is wholly and only a matter of God’s choice, then the man condemned to hell has reason to blame God: He is in hell because God didn’t choose him. Conversely, if salvation is wholly and only a matter of man’s choice, then the man in heaven has a basis for arrogance: He is in heaven because he made a smart choice and those doomed to hell didn’t. When we affirm both statements as the truth, then the man in heaven has only God to thank for choosing him and the man in hell has only himself to blame for rejecting salvation. One more thing: I do not find it helpful to dilute the sense of these two phrases in the interest of easing the tension between them. To say God only chooses those whom He knows will choose Him is to dilute election in favor of freewill. To say that God’s choice compels a sinner to accept salvation is to dilute freewill in favor of election. The Bible teaches both concepts straight up and undiluted. That’s what I believe. So, what’s the practical implication? First, if you know Jesus as your Lord and Savior, thank God daily. You would never belong to Jesus if God had not shown you grace in calling you to Himself. Praise God for saving those around you, too. Paul gets it: “But we should always give thanks to God for you, brethren beloved by the Lord, because God has chosen you from the beginning for salvation through sanctification by the Spirit and faith in the truth" (2 Thessalonians 2:13). Second, as you go about your day, make known the amazing truth that whosoever will may come. Salvation is freely and genuinely offered to every man, woman, and child with whom you have contact. Make sure you tell them that Jesus’ gracious offer is real: “Behold, I stand at the door and knock; if anyone hears My voice and opens the door, I will come in to him and will dine with him, and he with Me” (Revelation 3:20). Often, we must take a number and sit in God’s waiting room. We may be desperate for Him to break through; to put things to right; to rescue us; to perform miracles; to do it NOW! Instead, it feels like He is “off in the back somewhere” and not aware of, let alone particularly interested in, our problems. So we sit alone or with a friend or family member in His waiting room, sometimes for months, even years, listening to elevator music, marking time, and wondering when God will show up. Waiting on God can seem like a penalty, perhaps even the consequence of having disappointed Him in some way. When in His waiting room, it helps to remember that sometimes God withholds the good He intends for us, for a season, in order to prepare us to receive His gifts. It also helps to remember His promises: If even despicable men give their children good gifts, how much more will our perfect Father give perfectly valuable gifts to His children who are asking? These two acts of remembering can go a long way toward fueling hope during an extended stay in God’s waiting room. Here is another vital strategy - check out what God has in His magazine rack. Especially in the days before iPhones, I would sign in at the doctor or dentist’s office and then seek out some reading material. I might grab a magazine to which I would never subscribe, perhaps even something I would never choose to read outside the waiting room. But given the choice between boredom and reading a magazine about fishing, food, or forestry, I regularly chose the latter. I was often amazed by things I learned that I would have never otherwise known. God often uses our time in the waiting room to show us things that cannot otherwise be discerned. In the previous post, I recounted how God kept us in His waiting room for years. Our son diligently applied for hundreds of jobs. Not once in the span of almost four years did a prospective employer say, “We want you!” Over and over, He was rejected. You have a robust conscience. You are strong in your desire to do whatever you are convinced is right. You have sought the Lord even as you have gone through deep waters. You love Scripture and love to discuss how it applies to our lives. You are willing to do hard things when God asks. You have sought to honor Mom and me by supporting us in the ministry at CBC. You are an amazing teacher - patient, gentle, and nurturing. You are a gifted musician - I marvel at your ability to sprinkle jewels on a song. You are passionate about the Lord and truth. You are teachable and responsive to our counsel. You are willing to receive from others who have something to contribute. You are a good friend - so many have been on the receiving end of your commitment to be true to them. You understand what confession and forgiveness are about! You are a disciplined individual who makes it a priority to do what is most important each day. You are my true friend. What a joy and honor to call you my son and to celebrate a year of growth and a new year to come! The bottom line was that I knew my son to be a good man. Not a perfect man, to be sure, but a good man. Yet the consistent response from every possible employer was unequivocal rejection. I remember crying out to God and protesting, “How much more can he take? I am so tired of my son being rejected.” I cannot explain this, but it was as if God answered, “Tell me about it!” I gasped at the thought. My experience was mirroring God’s. He was allowing me, in some small way, to experience something of what He Himself felt. To be sure, His Son was not just a good man; He was perfect. And the rejection of Jesus was not just about a job but a cross: “The Son of Man must suffer many things and be rejected by the elders and the chief priests and the scribes, and be killed” (Mark 8:31). In that moment, I caught a glimpse of the pain of the Father. As I looked through my experience to the Father's, I connected the dots between His pain and His love. Unlike me, God had chosen this pain. God loved me (and you!) enough to knowingly and consciously commit His Son to the supreme rejection of men. The pain I was feeling was God’s pain, but a pain He chose for Himself, in order to claim me. The anguish of soul that I would wish away God elected for Himself, in the name of love. In the quietness of God's waiting room, this breathtaking picture filled me with awe. I saw something precious and encouraging I would never have seen otherwise. We're currently doing a sermon series at CBC on the "weaker brother." He's not who you think he is! You can go here (listen to the 08/05/2012 sermon from the "48" series) to get the full message. For those of you who want to talk about the Sara scenario now, here you go. I'll be waiting for your pearls! A woman, Sara, has opened her home from time to time to friends from church. She issues a general invitation to the members of her small group to come spend a Friday evening at her house cooking out. The event is not officially sponsored by the church; it is pure “hang out” time. Sara’s circle of friends, including nonbelievers, will likely attend. Sara uses these times to build relationships with people whom she wouldn’t ordinarily meet if she only did “church functions.” Her clear purpose is to minister to her nonbeliever friends and she has led more than a few of the people she met at these types of events to Christ. Sara routinely drinks a beer or two whenever she cooks out, as do many of her friends. There have been a few occasions in which some of her rowdier friends have had too much to drink. When that happens, she or one of her godly friends will politely “cut-off” the rowdy and call him a cab. But, Sara has accepted a certain level of rambunctiousness from some of the people who come as the natural result of reaching out to nonbelievers. One of the members of Sara’s small group, Tim, believes that all drinking is sinful, and plans on attending her event. However, prior to coming, he insists that Sara not drink, and demands that she enforce a “no-drinks” policy on everyone who attends her imminent get-together. There is sufficient time between when Tim makes his demand and the date of the party for Sara to comply with Tim’s demand. Tim is a recovering alcoholic? The party is held at someone else’s home (someone who routinely keeps alcohol on hand) and Sara is the one organizing the get-together? Tim claims to be an alcoholic, but Sara has seen him out with non-church friends on multiple occasions nursing an appletini? Tim requests, but does not insist, that Sara refrain and require others to refrain? Sara uses these times to hang with unbelievers but has not used these get-togethers for outreach and has no evangelistic fruit to show for these get-togethers? When Jesus was born, the angel chorus sang, “Glory to God in the highest, And on earth peace among men with whom He is pleased.” So it is a little surprising to hear Jesus say something that sounds quite different: “I have come to cast fire upon the earth; and how I wish it were already kindled! But I have a baptism to undergo, and how distressed I am until it is accomplished! Do you suppose that I came to grant peace on earth? I tell you, no, but rather division” (Luke 12:49-53). In the latter passage, Jesus is declaring that He will someday bring judgment on the earth and that it can't happen soon enough. Before that fire falls, however, Jesus Himself must be immersed in God's judgment. Peace will not flow from this baptism, but "division;" Even the most basic of family connections will be upset with fathers taking sides against sons and daughters taking sides against mothers. Their disagreement has to do with fire and peace. It is not politically correct to say it, but the world stands under the shadow of God's wrath (Col. 3:6). Fire will fall! Here is some good news -- There is an escape plan! The Apostle Paul explained it to the Thessalonian church: For they themselves report . . . how you turned to God from idols to serve a living and true God, and to wait for His Son from heaven, whom He raised from the dead, that is Jesus, who rescues us from the wrath to come (1 Thess. 1:9-10). When Jesus returns, He will save His own from the falling fire. How can He do this? Remember that baptism Jesus underwent! When He died on the cross, He experienced the wrath of God as a substitute for men. The fire of judgment fell on Him so that it need not fall on us! He offers this supreme service as a gift for any who want it. Receive this gift and enjoy true peace. Or refuse it and fire will fall. This notion of "targeted peace" aligns perfectly with what the angels promised: “And on earth peace among men with whom He is pleased.” Those with whom God is pleased will enjoy peace. Those who reject His Son and refuse the supremely costly gift for which He paid, will not. When "Peace on Earth" is assumed to be a privilege enjoyed by all men simply because "it's Christmas," the very purpose for which Jesus came to earth is trivialized, men are dulled to the fact that the place is about to go up in flames, and the profound value of what Jesus accomplished is diminished. The angel chorus understood it perfectly. A myriad of them came near Bethlehem to celebrate the first phase of a grand undertaking, a peace initiative that would make it possible for some to avoid the fire that would otherwise consume all. This is definitely something worth singing about! Evangelical Christians are considered the purveyors of a Politically Incorrect Gospel (PIG). This Gospel views John 14:6 as a clear claim by Jesus to be the exclusive way of salvation. Considerable pressure has been applied on those viewed as PIG mongers to repent of their intolerant ways and embrace an inclusivism that celebrates, "All religions merely represent different paths to the same place." Rabi R. Maharaj was born the son of a great Yogi. He sought to follow his father in the pursuit of enlightenment. Despite being a promising young guru, his search for truth and disillusionment with Hinduism provoked an intense inner struggle. The struggle ended when he renounced his religious heritage and embraced Jesus Christ. Rabi Maharaj, the guru, died in that moment. His amazing story is chronicled in the autobiography, "Death of a Guru." It should be required reading for anyone planning a trip to India. Here is a former guru declaring that both Hinduism and Jesus teach what "tolerant man" refuses to admit: One must choose between Jesus and Hinduism - they cannot both be right. Why Get Stressed If Hell Has a Thermostat? Gehenna: “Do not fear those who kill the body but are unable to kill the soul; but rather fear Him who is able to destroy both soul and body in hell” (Matthew 10:28). Hades: “And you, Capernaum, will not be exalted to heaven, will you? You will be brought down to Hades” (Luke 10:15)! Outer darkness: "But the sons of the kingdom will be cast out into the outer darkness; in that place there will be weeping and gnashing of teeth” (Matthew 8:12). Eternal Fire: “Then He will also say to those on His left, ‘Depart from Me, accursed ones, into the eternal fire which has been prepared for the devil and his angels'”(Matthew 25:41). Lake of fire and second death: “But for the cowardly and unbelieving and abominable and murderers and immoral persons and sorcerers and idolaters and all liars, their part will be in the lake that burns with fire and brimstone, which is the second death”(Revelation 21:8). While it is possible that "Hades" may, in a context like Luke 10:15, simply be a synonym for "death," the other terms are unmistakably descriptive of "life AFTER death" for those with abysmal prospects. Taken together, the composite picture these descriptions present is beyond sobering. When a man prefers life wholly apart from God, he is choosing to exist in a place completely devoid of love, joy, peace, patience, kindness, goodness, faithfulness, gentleness, or self restraint. Here is a realm shrouded in utter darkness. Despite some men's boasts, they will not be with their friends, because friendship will cease to exist. A man will live without purpose and without rest since these only come from God. Every good thing comes from God so there will be NO GOOD THING in a place that has cast off all associations with Him. True enough, hell may have a thermostat. In Matthew 11:24, Jesus declares, “Nevertheless I say to you that it will be more tolerable for the land of Sodom in the day of judgment, than for you [Capernaum].” But this suggestion that some parts of hell may be worse than others must not diminish our apprehension that every level of hell will be pure hell! As Paul considers the lostness of his countrymen, he confesses great sorrow and unceasing anguish of heart (Romans 9:2). God feels the same way, declaring, "I have no pleasure in the death of the wicked" (Ezekiel 33:11). Jesus weeps as He crests the eastern ascent of the Mount of Olives and considers the city of Jerusalem, bathed in morning light but slipping into darkness: "How often would I have gathered your children together as a hen gathers her brood under her wings, and you would not" (Matt. 23:38)! It can be beneficial to stare into the flames. Get a good look at what a life wholly apart from God looks like. Allow the view to sober you, to unsettle you, perhaps even to disturb you. Then speak up about what you see to anyone who is deluded enough to find life without God attractive. It was quite entertaining a few days ago to watch the White House Party Crashers "plead the fifth" (a lot!) during their testimony before the House. I have been tempted to do likewise when a critic suggests, "So, you think I'm going to hell if I don't believe in Jesus, right?" For Christians who take John 14:6 seriously, answering such a question seems a choice between betraying Jesus and incriminating oneself as a bigot. Reminds me of the question, "Have you stopped beating your wife yet?" There's no good answer. Or is there? The critic's inquiry uses some terms that need to be defined: What is meant by "hell?" And, what does "believe in Jesus" mean? Is believing in Jesus a binary condition, you either do or you don't? Or is it a variable that must pass a certain threshold before it "saves?" Both thieves believed that Jesus was a real person and that he was crucified, but only one thief was promised entrance into Paradise. In their case, only one had a faith that rose to the level of saving faith. So when someone wants me to respond to his accusation, "You think I'm going to hell because I don't believe in Jesus," it's perfectly appropriate to ask, "What do you mean by 'hell' and 'believe in Jesus'?" Note that the critic has not asked a simple question. He is asking me to affirm a logical construct. Here is the critic's logic: "A" - I do not believe in Jesus; "B" - I am going to Hell; and "A" is the cause of "B." In which case, it is entirely reasonable for me to remind my critic that I must examine all three elements in order to affirm what "I think" is true. I would start with the first one by posing, "What do you believe (and not believe) about Jesus, and why? Have you always believed this or is this something you have recently come to?" Isn't this nifty! You can use the critic's cold water question to open a lively discussion. If the critic gets all cranky and says, "Just answer my question," you can respond, "That's exactly what I'm trying to do, beginning with statement A!" There is more, something implicit, in the critic's question. His inquiry has been phrased in a way that rings of threat language. God is depicted as the petulant despot who dispatches any detractor, who consigns good folks to a cosmic dungeon for daring to entertain an independent thought. If this is what the critic contends by His question, then the only right response is, "I couldn't disagree with you more!" I understand "hell" to describe a realm of existence in which everything associated with God has been extracted. I also believe that Jesus gives men what they choose, even when what they want is a life wholly apart from Himself. In this life, God allows men the time to lock in their choice. He takes no pleasure in their foolish direction and is disappointed in their rejection of Himself. However, He shows them both continued patience and kindness to give them a reason to change their minds. But once a man has made his choice, Jesus will give that man what he has requested. So I would pose these words to my critic: "Your question implies a threat. But if you understand 'hell' to be a term that describes existence wholly apart from God, aren't there some who would consider this a blessing? Don't some individuals think that life would be easier without the God of the Bible? So which are you? Would you consider living wholly apart from God a good thing or a bad thing?" If my critic thinks living apart from God is bad (a conclusion the Bible would affirm), then I have some Really Good News we can talk about. If he thinks living apart from God sounds like a good idea, then his original question is both confusing and misleading. He is labeling what he desires as a penalty and blaming God for giving him what he wants. Makes me want to ask, "Have you stopped misrepresenting God, yet?" The "Cambrian Explosion" poses something of an evolutionary conundrum. Darwin's Dilemma, a DVD produced by Illustra Media, was released last month and provides an intelligent assessment of the problem. The Cambrian period, dated from 542 to 488 million years ago (give or take a few million), presents a remarkable paleontological panorama. Prior to the Cambrian, the fossil evidence shows the presence of some sponges and what-not. But then in a geological flash, numerous phyla (distinguishable, defined, and developed body plans) burst onto the scene - hence the term, the "Cambrian Explosion." The resultant problem for Neo-Darwinism is manifold. Certainly the absence of any fossil record of transitional forms is an obvious and perplexing issue. But there are some profound and no less troubling matters arising from our current understanding of data processing. I watched the DVD last night, including the 60 minutes of bonus material. It's all good! It is well-suited to home-schooling (but is not going to hold the interest of most elementary and many middle school student), adult discussion groups, and for sharing with friends who are open and interested in "Intelligent Design." The militant Darwinist will dismiss it. But anyone who wants to be allowed to consider the evidence will appreciate the producer's focus on the fossil record itself and his restraint in posing solutions. There is a great nugget tucked away in the bonus material. On the page for "Signature in the Cell" is a menu tab titled, "Interview with Stephen Meyer." His story about the programmer who said, "Someone has been here before," will prompt you to think about life and our Creator in new ways. Want to spark some intelligent discussion with science minded friends? The decision about purchasing this DVD is no dilemma. Yesterday, we made two observations. (1) The term, "overcomer," that is used in the book of Revelation is simply another title for a "true Christian." (2) The overcomer is willing to die for his faith. He loves the Lord more than life itself and overcomes by thwarting others' attempts to compromise that love. This seems clear enough. But we have to ask, "Is someone who fails to 'overcome' because he denies the Lord not a 'true Christian?'" Our notion of what constitutes a "normal believer" doesn't seem to include this courage that thunders, "Die before deny!" Isn't the whole martyr gig for the Stephen's of the world, and surely not the stuff of ordinary Joes for Jesus? It is common in today's church to encourage people to pray a "sinner's prayer." It's a good idea! But the simplicity of this moment has potential to reinforce a really bad idea, "Insurance Policy Salvation." When a man says, "Yea, I prayed 'the prayer' a long time ago so I'm good with the man upstairs," it is appropriate to ask if that prayer was about getting fire insurance or the day a fire for God got started! A man can receive salvation in such a moment of prayer, but if he truly has been saved, we ought to be able to see some changes. James would say that faith without works is dead. Faith without change is lifeless faith. Living faith changes a man. The true state of a man's faith is not always obvious. True, the Lord knows those who are His. But, we can be fooled. Even an apostle like John admits to being taken in, for a time, by some pretenders: They went out from us, but they were not really of us; for if they had been of us, they would have remained with us; but they went out, so that it would be shown that they all are not of us (1 John 2:19). There were some in the congregation who gave the appearance of being the real thing. But only when they bailed from the fellowship to pursue an agenda of opposing Christ were their true colors revealed. Perhaps these pretenders "prayed the prayer," but they demonstrated the falseness of that prayer by their actions. The overcomer is the real deal. Striking evidence is provided by his willingness to be steadfast when following Christ is accomplished by carrying a cross. True believers are willing to die for Jesus. I don't hear this principle talked about much in our pulpits. Not a good sign! It ought to be preached - because it conveys something profoundly encouraging. A marketing slogan queries, "Is it in you?" For the true believer, the answer is a resounding "yes," and we're not talking about sugar water. When someone genuinely surrenders to Christ, he receives the capacity to stand for Christ despite the cost. If you know Jesus, then the capacity to "overcome" is in you. You can do this! I always thought successful companies employed a simple strategy: "Figure out what people want and sell it to them." Silly me! Here's an article from the LA Times that outlines how the Obama administration is leaning in their latest efforts to "help" the ailing auto industry: Stop giving the people what they want. Only offer them what Uncle Sam has decided they should want. Give them Renault Dauphines instead of evil F-150's and Corvettes. What a great idea! We could use this approach in all kinds of areas. For example, we have an obesity problem in America, right? And most clothiers are struggling in the economic downturn, right? So why should the government waste a perfectly good crisis? Why can't Uncle Sam fight obesity while "helping" the garment industry just like he is helping Detroit? If he required all garment makers to produce only small and medium sized clothes, it would force the chubs to change their ways! The obese would be shamed (literally) or constrained into eating responsibly. I wonder if a black market might develop. Imagine catching a voice from the shadows, "Hey, buddy. I've got large and (he pauses for effect) extra-large T shirts. (He lowers his voice to a whisper.) I've also got jeans in waste sizes of 36 and above. You ever worn clothes that fit? You're not gonna believe how good it feels. Wanna try 'em on?" Watch human ingenuity kick in when men are coerced into doing the right thing. What would our world look like if God "helped" us using the Obama method? Forcing men to do "the right thing" by denying them all choices to do otherwise is not beyond His ability. But God has a better idea! Use grace to accomplish what force cannot. Give men a perfectly good reason to choose the right thing. The cross is that perfectly good reason. Grace respects me enough to allow me to make my own choice, but gives me sufficient reason to make the right choice. That idea suits me better than jeans that fit. Who doesn't want to prosper? All men (with a few bizarre exceptions) share this basic desire. They differ, however, by the creative range of means they use to pursue this prosperity. Solomon knew a thing or two about prosperity, so his thoughts on the subject warrant our attention. Listen to this striking piece of counsel: He who conceals his transgressions will not prosper, but he who confesses and forsakes them will find compassion (Prov. 28:13). The genuine prosperity of seeing your plans and desires come to fruition is put in jeopardy when your energies are dissipated in attempts to conceal your secret sins. The fear of being discovered, doing what you must to keep from being found out, is a terrible waste of your energies. The healthy alternative is both simple and scary. Honestly admit what you have done to those who need to hear your confession, God being the first name on your list. Then, make a clean break from your sin. As you do, you will find yourself on the receiving end of compassion, both from God as well as those who know what it means to be forgiven. This is not just Solomon's idea. Peter echoes the same promise on the day that the church came into existence: “Therefore repent and return, so that your sins may be wiped away, in order that times of refreshing may come from the presence of the Lord” (Acts 3:19). When Jesus died on the cross he made it POSSIBLE for men to have their sins wiped away. But they have their own part to play to turn what is possible into what is ACTUAL. To "repent" and "return" is something each man must choose for himself. Those who do unlock the power of the Gospel to make men rich. Inner refreshment, a sense of God's presence, compassion from God and others - I would call the recipient of such treasure a truly wealthy man. Finally, someone has discovered how to use an adding machine as we herald the "bailout of the day." Here's the scoop from Bloomberg. If you want to see the research behind the article, click here. Bloomberg did what, to my knowledge, no one else has done. They simply added up all the commitments, lines of credit, and guarantees being put forward by the Fed, FDIC, Treasury, and FHA to "solve the economic crisis." The total is $7.7 trillion and counting! Here's an illuminating quote: "The money that’s been pledged is equivalent to $24,000 for every man, woman and child in the country. It’s nine times what the U.S. has spent so far on wars in Iraq and Afghanistan, according to Congressional Budget Office figures. It could pay off more than half the country’s mortgages." Oh, how my confidence soared at this inspiring gambit from Ben Bernanke: “Some have asked us to reveal the names of the banks that are borrowing, how much they are borrowing, [and] what collateral they are posting,” Bernanke said Nov. 18 to the House Financial Services Committee. “We think that’s counterproductive.” Huh? It's counter to whose productivity? Certainly not mine. We, the taxpayers, are supposed to fork over $7 trillion but without knowing to whom and for what. This sounds like the kind of scam a Somalian pirate would drool over! By the way, the largest share of this $7.7 trillion came from the New York Fed, where Timothy Geitner is President. Yup - He's Obama's appointee to be Secretary of the Treasury. So I guess that "change we can believe in" will involve more than chump change. I am so glad that God's economy is never strapped for cash: And God is able to make all grace abound to you, so that always having all sufficiency in everything, you may have an abundance for every good deed (2 Cor. 9:8). Credit may be tight, the market in turmoil, and main street in distress. But if you know Jesus as your Savior, you have a ready supply of grace, more than enough to do good to those around you. You are flush enough with grace to lavish good deeds on others. God's got you covered. Get out there and spread the wealth! When we started Collierville Bible Church almost twenty years ago, one of our first challenges was finding an appropriate name for the new work. The church was sponsored by First Evangelical Church of Memphis and the assumption was that the new work would have the word "evangelical" in its name as a hallmark of this lineage. But we ran into a snag. We discovered that the meaning of the word "evangelical" was fuzzy. When we tested out "Collierville Evangelical Church," it left most people wondering, "So what are you?" They couldn't tell you what an "evangelical" is - but they did understand the word "Bible." We figured, "Honoring, learning, and applying the Bible is what we're about - why not make it our middle name?" Collierville Bible Church could be described as an evangelical, doctrinally conservative church. CBC is an independent congregation – it is not part of a larger organization nor a representative of a particular denomination. When we say it’s “evangelical,” that word describes lots of different kinds of churches who share a common vision: They proclaim the gospel of Jesus Christ and believe it is essential to do so. To say that CBC is doctrinally conservative means that we’re not interested in innovation, novelty, or creativity when it comes to interpreting the Bible. We strive to be faithful to the timeless truths taught in God’s word. The words in bold capture our basic summary of what it means to be evangelical. It seems fairly straight-forward. But cultural and political trends have messed with my tidy definition. The meaning of "Evangelical" has become even fuzzier than it was twenty years ago. The term has come to be bandied about, often as a slam against those who are attempting to rally Christians toward political conservatism. Evangelicals are depicted as those who coerce or impose their beliefs on others. Here's what happened at a church in Michigan last weekend - just to give you some appreciation for the problem. People are mad at evangelicals. But they are mad for reasons that are unfounded. If they just understood what we believe, they would see that much of their criticism is based on misrepresentations. If they would just read our manifesto and get to know us, we could all be friends. I am glad for their efforts to jettison some baggage and clarify what we believe. And I will be delighted with whatever benefits this effort imparts to the debate in the public square. But even if we were called "those nice evangelicals," the clash between world-views will remain both real and fierce. The abuse of "diplomatic immunity" by United Nations delegates on the streets of Manhattan was big news in the 90's. Things were really getting hot when Mr. Giuliani decided enough is enough, although something of a truce was eventually established. Things haven't changed much in ten years - deadbeat diplomats are still in the news. I can understand their motivation. Why should they be subjected to the rules and regulations of a country of which they are not citizens? For our citizenship is in heaven, from which also we eagerly wait for a Savior, the Lord Jesus Christ; who will transform the body of our humble state into conformity with the body of His glory, by the exertion of the power that He has even to subject all things to Himself (Phil 3:20-21). Therefore, we are ambassadors for Christ, as though God were making an appeal through us; we beg you on behalf of Christ, be reconciled to God (2 Cor. 5:20). We have been given an assignment, to represent the Kingdom of Heaven on the rebellious planet. Those who break off their hostilities with God and embrace Jesus as their Savior have their citizenship immediately transferred. But, they remain, for a time, in their host countries as delegates. Here's where the issue of parking fines comes in. In a previous post, I made the case for respect for the office of the President, regardless of who occupies it. Now let me add a note about results. One of the characteristics in our host countries is their highly developed capacity for judicial sentiment. They can accurately identify what is right and wrong when it is applied to someone else. There is abundant evidence of this characteristic in the current criticisms flying between Republicans and Democrats. When you find yourself thinking, "Isn't this a case of the pot calling the skillet black," you are watching judicial sentiment in action. Earthlings can accurately identify a mere speck in someone else's eye even while ignoring a 2 x 4 in their own. Keep your behavior excellent among the Gentiles, so that in the thing in which they slander you as evildoers, they may because of your good deeds, as they observe them, glorify God in the day of visitation. Submit yourselves for the Lord’s sake to every human institution, whether to a king as the one in authority, or to governors as sent by him for the punishment of evildoers and the praise of those who do right. For such is the will of God that by doing right you may silence the ignorance of foolish men (1 Pet. 2:12-15). To be sure, we submit to the laws and leaders of the land because it is God's will. But when we do, there are two additional outcomes: Ill-informed critics are demonstrated as fools for the fact that their criticisms don't stick. Second, lost people observe the kind of behavior which makes God look good and which gives them reason to praise Him when He shows up. When we show disrespect for the laws and leaders of our host countries, we curtail our ability to represent well our King and His Kingdom. We do not have diplomatic immunity! Our King requires us to make Him look good by showing the citizens of our host country how a model citizen would behave. There's far more at stake here than our like (or dislike) for a President who will occupy an office for a few earthly years. Don't muddy the water with petty parking fine failures when it could hobble someone's ability to share eternity with our King. "Where does God say that man is required to have faith and why?" That was the query recently posed to my friend. The question can be construed to represent God as a hard nosed stickler. If you're not bringing faith to God's table, don't bother coming. I find it helpful to think of faith as a privilege not an obligation. It is true that unleashing the power of the Gospel cannot be accomplished apart from faith. BUT, God forces Himself on no man! God does not compel belief, He invites it; He respects us enough to allow us to make our own decision. Think of “faith” as God’s declaration: “I am NOT going to compel you to believe the Gospel. Yes, it makes sense. Yes, it holds within it the power for salvation. And yes, that power will be unleashed when you, by faith, choose to apply it to your life. But I am giving you the power to choose what you will do – I am allowing you to believe or not believe. Now, don’t get me wrong. There will benefits and consequences depending on what choice you make. Not all decisions are created equal. Rejecting the Gospel is the worst possible decision you could EVER make. But it IS your decision to make." Let’s say that you are selling some sort of agricultural product to Farmer Brown. This product will revolutionize his farming enterprise. So you make your pitch and FB seems thoroughly impressed with your field studies, charts, and cost projections. But the power of your product is not unleashed until it is applied to his cropland. He must purchase it and then act on the “application instructions” to see the results. So is it with the Gospel. Someone can be quite impressed with the evidence for the Gospel. He can even appreciate how it has been helpful to others. But the power of the Gospel is not unleashed until that someone ACTS on it. He doesn’t have to purchase it (Jesus already made full payment for as much Gospel as a man could need). He merely signs for delivery and applies the product to his life. This is “faith in the Gospel,” choosing to apply the Gospel to his thoughts, words, actions, and aspirations. When a man does this, the power of the Gospel is unleashed. God is not forcing anyone to use His product. But it happens to be the only product on the market that works. It's the smart choice. Imagine coming upon someone at a railroad crossing slumped over the steering wheel in his stalled car. In the distance you see the headlight of an approaching freight train. What is the only response that makes sense? Spring into action to rescue the stranger from imminent peril! Forget the car, get the driver to safety! For many, the approaching Day of the Lord will arrive like that oncoming train. They are oblivious to their peril - but are at profound risk. What can we discern from 1st and 2nd Thessalonians about this Day and the events surrounding its arrival? By the way, none of these predicted events (here's the list from a previous post) answer to events in history since the first century. This means that the chronological perspective of the Thessalonians is identical to ours. Whatever was "in the present" for them is relevant to our day. Whatever was "in the future" for the Thessalonians is still in our future. This could change at any moment. In fact, I suspect we are very near the in-breaking of these future events. But AT THE MOMENT, we are looking forward from the same chronological vantage point as the original recipients of these epistles. Remember that there are two perspectives on the Day of the Lord (see yesterday's post) and sorting out the many references to eschatological events in the Thessalonian Epistles is made simpler by observing this distinction. The opponents of the Gospel will experience the coming of the Day of the Lord in a VERY DIFFERENT way than the saints. Both will encounter an eschatological 180. For saints it will mean going from persecution to comfort. For Jesus' detractors it will mean going from peace and safety to wrath. What does the approaching train look like? To keep this short, I have attached a very useful list which you can download. This has key verses grouped by terms. If you will print a copy and keep it handy, I can summarize what the coming train looks like without bulking up this post with full quotes. We will work backwards from our fixed reference point, the parousia (coming) of the Lord. Okay, here is what lies ahead FOR GROUP ONE - Those who hinder the gospel (1 Thess. 2:14-16) and who persecute the saints (2 Thess. 1:6-8). They have an appointment with wrath (1 Thess. 1:10; 2:16). It is an irrevocable future certainty established in the past (1 Thess. 2:16). Jesus will return to earth in force to effect the eschatological 180 by which these afflictors become the afflicted (2 Thess. 1:6-8). Those who do not know God and those who have not responded to the gospel with the actions of faith will be dealt retribution by Jesus and His fiery host (2 Thess. 1:6-8). This day of wrath will be TOTALLY unexpected. Prior to its arrival, men will consider themselves to be living in a time of peace and security (1 Thess. 5:1-4). They will have no more clue to what's coming than the unsuspecting victims of a cat burglar (1 Thess. 5:1-4). This doesn't mean Jesus will return without warning. Alas, the recipients of this wrath will be deceived about the times in which they live and oblivious to the warning lights flashing around them. Here are two of those warnings: (1) Society will have embarked on a grand (sic) experiment. Everywhere apostasy will be in vogue; life with God factored out of the equation will have become the accepted and celebrated norm (2 Thess. 2:1-3). (2) This trend will be capped by the appointment of a leader, "the man of lawlessness" who has become the poster child and dynamic public cheer leader for "living my way, not God's way" (2 Thess. 2:1-3). In reality, the philosophy he espouses is a sure path to self-destruction but NO ONE GETS IT. The majority will view his rise to prominence as an event of near Messianic significance (2 Thess. 2:3). He, for his part, will gladly assume the mantle of deity (2 Thess. 2:4). Empowered by Satan himself, this one will be equipped to deceive the masses (2 Thess. 9-10) who will blindly follow him in the pursuit of pleasure-driven living (2 Thess. 2:11-12). For the present, several forces are at work. (1) Lawlessness, this philosophy of living in defiance of God, is clearly at work, but not openly (2 Thess. 2:7). It is held in check, for the time, and forced to work behind the scenes (2 Thess. 2:7). There will come a time when the restraints come off and "lawlessness" comes out of the closet. But not yet. (2) God has not yet released the great delusion. For the time, it is possible for men to appreciate the merits of the truth, to get it. But when "the apostacy" is in full swing, men's hatred of the truth will reap a universal delusion. Men will find lies and fabrications to be thoroughly convincing (2 Thess. 2:11-12). They will find it impossible for "any reasonable man" to embrace anything other then their "live for pleasure" approach to life (2 Thess. 2:12). All of this is not a pretty picture. But there is still time to rescue some. Lawlessness has not yet become the dominating philosophy it will. Men are not yet beyond seeing the appeal of the truth. Yes, some may refuse rescue, insisting instead to straddle the tracks before the wrath, daring it to oppose them. But there will be some, like the Thessalonians, who will listen. For they themselves report about us what kind of a reception we had with you, and how you turned to God from idols to serve a living and true God, and to wait for His Son from heaven, whom He raised from the dead, that is Jesus, who rescues us from the wrath to come (1 Thess 1:9-10). Some state, "There is only one way to be saved, through a personal relationship with Jesus as one's Savior and Lord." Others declare, "There are many ways to be saved." Who's right? Remember the politician who beamed, "Some of my friends are for it, and some of my friends are against it - I'm for my friends." Is it possible to take a cue from him and embrace both statements? Yes, except for the stubborn phrase, "only one." If you exchange "only one" in the first statement with something less exclusive, then both statements can become friends. It would yield this composite: "There are many ways to be saved. One way is to be saved through a personal relationship with Jesus as one's Savior." Break out the candles and start singing Kumbaya! Stated this way, the Jesus people can do their thing while everyone else discovers what works for them. Once we insert the phrase "only one," however, these two statements become hopelessly irreconcilable. Both of them claim to be the truth, but only one can have the title. If Jesus is the "only way," then there CANNOT be many ways. So, is insertion of the "only one" clause necessary? Jesus declares, "I am the way, and the truth, and the life; no one comes to the Father, but through Me" (John 14:6). This passage seems to clearly demonstrate that the inclusion of the "only one" clause is Jesus' idea. There are some who say that this key passage is being misapplied. We have been around this block before, so let me just direct you to one of our exclusive "pretty good downloads," an analaysis of John 14:6. Sift through the evidence, and you can be sure of this: Christians believe that Jesus is the only way to salvation because Jesus taught it. Remember the principle I asked you to tuck away last week? We have a moral obligation to communicate with others what we know about the good and the bad of choices that are theirs to make. If Jesus is the only way, then men who turn to any other way are in grave peril. And, the imperative to "love your neighbor as yourself" requires us to make their peril known. Why not take our approach to publishing truth about temporal issues and adapt it for use in matters of eternal importance. Remember the process we described last week? Here's an adaptation to the Gospel: A sense of moral obligation should drive us to share this information with a circle of friends, acquaintances, and contacts; anyone who could benefit from this knowledge. How could we face them in the future if we withheld what we know? We need not cajole or pressure anyone to respond; we should give them the information and sources to examine the issues for themselves; we ought to encourage them to take our appeal seriously; we must answer their questions with patience and grace. There are two trends afoot that I think are at cross purposes to this approach. On the one hand, I will admit with shame and sadness that there are those who claim to be Christians but whose speech and behavior detracts rather than adds to our credibility among those who need to hear our message. We deserve some of the invective we are receiving from our culture. We do Jesus no service when we give people reasons to dismiss our message. But we should not kid ourselves. People are going to find reasons to dismiss our message, simply because the "only one" clause puts us in a position where someone is right and someone else is wrong. So here is my second concern: Some believers are responding to the criticism by losing their voice. They are tempted to downplay the "only one" clause, or even concede this point to the culture of "many ways" in order to get off the hot seat. There is no way to reconcile our "only one" view with the modern mind of "many ways." We cannot pretend that there would be no conflict if we "just understood one another." So, on the one hand, let's give our culture every reason to listen to our message. Our truth-claims exclude competing claims - Let's not use any confidence in our position as an excuse to be arrogant and dismissive. But, let's ALSO not fool ourselves into thinking it is possible to be popular with the "many ways" crowd without compromising our essential message. Stay the course between the twin perils of arrogance and silence: Don't be obnoxious, but speak up! 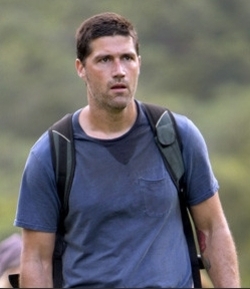 The long awaited fourth season of "Lost" has started - we sure didn't get much story development for a two hour investment. Maybe next week. I am intrigued by the fact, however, that this series has shaped our understanding of the term "lost." The term is an apt descriptor for passengers on Oceanic flight 815 before the plane ever went down! As we get to know them (mostly through "flash-backs") we realize they were carrying way more baggage than what's strewn about the crash site. Take Jack, for example. Prior to being lost on the island, his life was driven by a hopeless quest for an alcoholic father's approval, skewed by an inability to accept his divorce, and crazed by the transfer of his wife's affections to another. But on the island, he is rescued from himself. He gains a sense of purpose, embraces his role as a leader, and rallies the survivors to defy "the others." Jack is FOUND at the one place where he is LOST. In several "flash forward" scenes introduced in the finale of season three, we are teased by Jack's realization of precisely this truth. It is fascinating that this series is using the term "lost" to describe those whose lives are a mess. The world might take umbrage at being called "lost," but no more. Network television has now endorsed the use of the term "lost" for those who need a fresh start, whose lives need saving. That this salvation is realized as one is lost is an even more stunning revelation. It sounds like something Jesus would say: "Whoever seeks to keep his life will lose it, and whoever loses his life will preserve it" (Luke 17:33). What does the title, "Lost," say about the main characters? How are they lost? For most of the main characters in the series, they get a fresh start on the island - do you think its possible to get a fresh start in real life? How? Is it possible to lose everything you thought was important and discover what really matters? I suspect that when we unlock the secret of this island, the good news of salvation in Jesus will NOT be the focus. But, between now and then it's OK to talk about what makes a man lost, and how sometimes losing your self is the best way to find a life worth living. Your conversation might open a door to sharing the Gospel, the story of the greatest rescue mission of all human history.